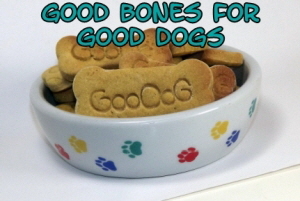 Affordable healthy dog treats that taste good and promote well being for all dogs. GooDogBones is a specialty bakery located in the small town of Myrtle Creek, Oregon. All the treats are completely dried for longer shelf life. Give your dog a healthy treat, whole wheat, gluten free, grain free or organic. You'll be glad you did!